Disney introduced new ticket pricing for its Walt Disney World theme parks on Sunday February 12, 2017. The new Geyser Point Bar & Grill is now open at Disney's Wilderness Lodge, part of the expansion of Wilderness Lodge to incorporate new waterside Disney Vacation Club villas. 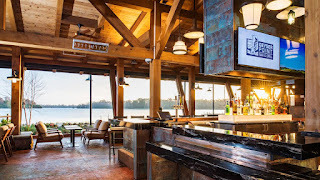 The eatery can be found in the heart of the Copper Creek pool area, with lounge seating and a walk up window for all-day quick service dining. Geyser Point Bar & Grill is open daily for breakfast, lunch and dinner, along with a lounge offering specialty drinks. Breakfast is served 7:00 AM to 11:00 AM, lunch and dinner is from 11:00 AM to midnight, and the lounge is available from 11:00 AM to midnight. 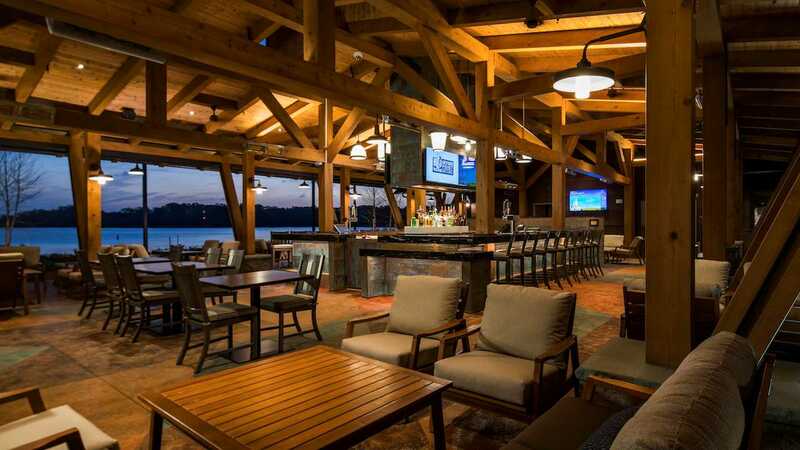 Roaring Fork Snacks and Trout Pass Pool Bar both close for refurbishment beginning today, with Roaring Forks reopening later in 2017. 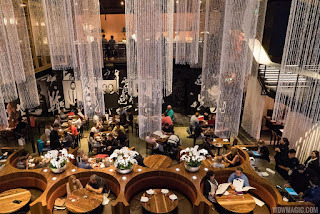 Morimoto Asia and Master Sommelier George Miliotes are joining forces to bring a special dining event to Disney Springs - "Wok and Wine." The event costs $150 per guest (excluding tax and gratuity) and will take place on February 28, 2017 at 7:30 PM. Tickets are available in advance online. 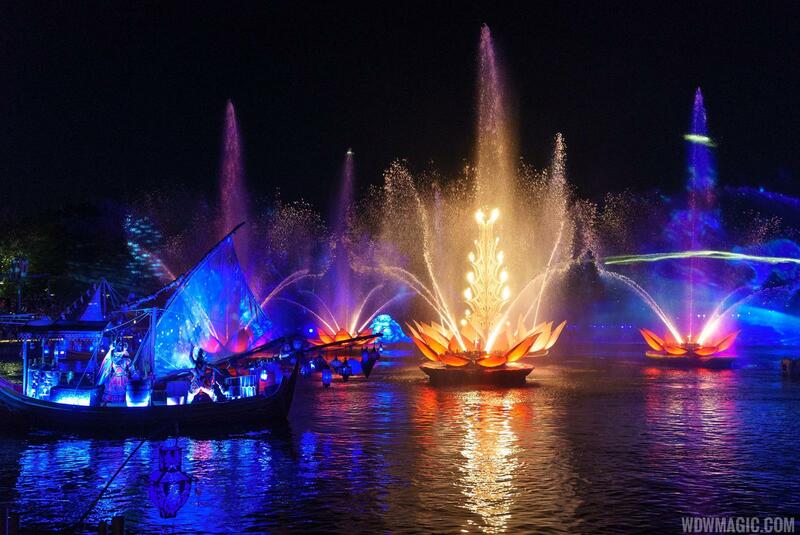 Additional performances of Rivers of Light have been added during the show's opening weekend. Originally planned to be shown just once at 7:30pm this weekend, two extra shows have been added at 8:30 PM on Friday, Saturday and Sunday. Disney has also opened up FastPass+ reservations for the additional shows. Trainers and birds from "Flights of Wonder" are now making appearances in other areas of Disney's Animal Kingdom, bringing the unique experiences to guests outside of the "Flights of Wonder" theater. Small stages in Harambe and DinoLand U.S.A. are the home for the new shows, with each appearance featuring a couple of birds showcasing their unique behaviors. In DinoLand, the show explains the link between birds and dinosaurs, and takes place daily at 3:30 PM and 4:30 PM. Showtimes in Harambe are not published, but keep an eye out on the stage close to Tusker House. The birds and trainers can still be seen in the usual theater location daily, at 11:30 PM, 1:30 PM and 2:30 PM. The mini in-park experiences are expected to run through to the end of March 2017. 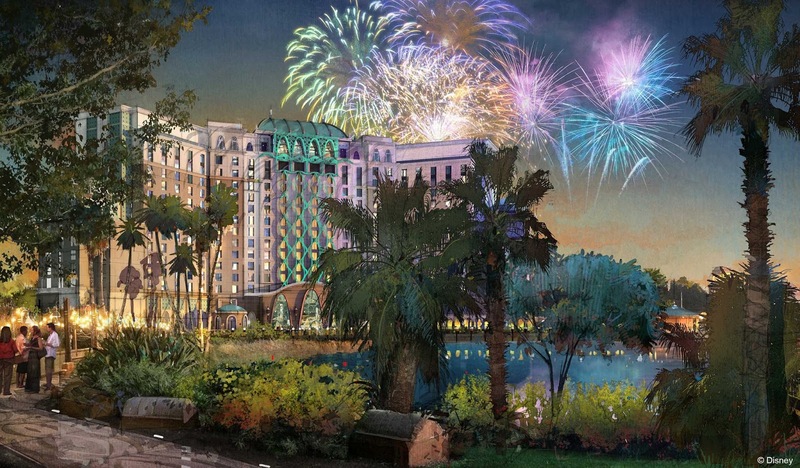 Disney has announced that it will begin a major expansion at Disney's Coronado Springs Resort. The centerpiece of the expansion is a 15-story tower that will add 500 guest rooms, including suites and concierge level services. Overlooking Lake Dorado, the tower will offer rooftop dining with views of the surround theme parks and resorts. The new tower block will be located near to the current main entrance, convention and lobby area. Also part of the project is a refurbishment of the current resort rooms, and the addition of floating gardens and an island oasis that connects the resort through a series of bridges. Disney's Coronado Springs Resort currently offers 1917 moderate priced rooms, inspired by the American Southwest and regions of Mexico. Opened in 1997, the resort was Disney's first moderate convention hotel, and features a 220,000-square-foot convention center. 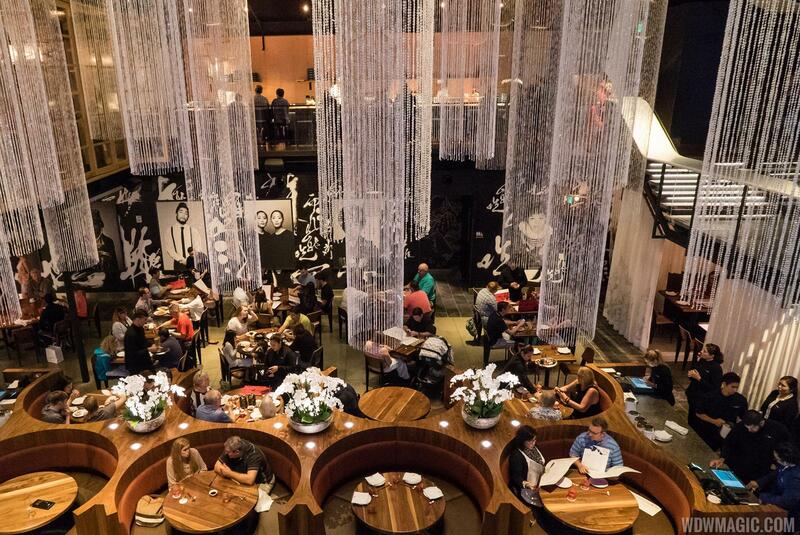 An opening date has not yet been announced, but construction permits have been filed, and expect work to begin imminently and continuing for the next 2 years. Disney has also confirmed plans to redevelop its Caribbean Beach Resort hotel, but stopped short of offering any specific details. Part of the Coronado Springs Resort expansion announcement, Disney indicated that the Caribbean Beach Resort will be reimagined with new additions to the resort’s current marketplace, Centertown, including new waterfront dining and retail shopping areas. This centralized location will offer the resort’s guests more convenient access to services, amenities and dining. Plans show that the new large building will occupy land that is part of the existing Barbados village of the resort, which will presumably be demolished for the expansion. Disney has confirmed that Martinique and Barbados islands will be unavailable from May 2017. Star Wars Launch Bay at Disney's Hollywood Studios will soon be home to a meet and greet with BB-8. Launch Bay has recently been updated with memorabilia and artifacts that Rogue One: A Star Wars Story.